The Aspire Quad-Flex, also known as the RDA bottom feed, is one of the newest of its kind. It comes with a full 4-in-1 kit. For the vapers who have the Nautilus x don’t need the urgent necessity to purchase this product. However, there are many advantages that attract you to purchase this system. Therefore, the best question to ask yourself is how they adjust without paying the full amount for this gear. The Quad-Flex Power Pack is the answer by Aspire. 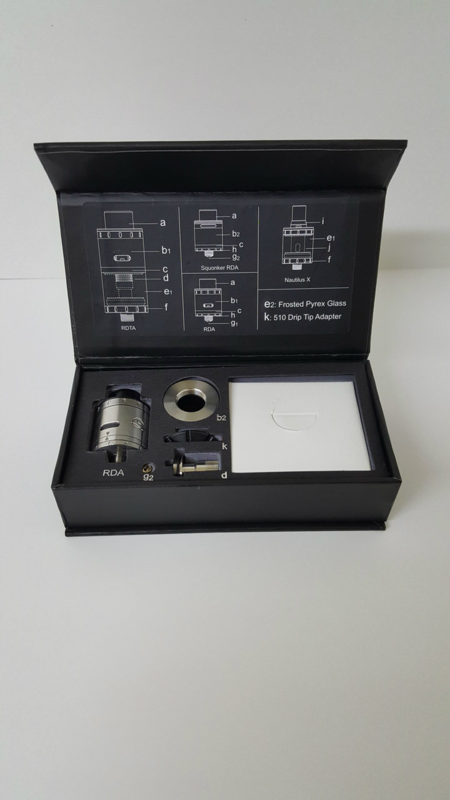 Quad-Flex low-profile RDA with Turboline top airflow system option. Quad-Flex low-profile bottom feed RDA with Turboline top airflow system option. Quad-Flex drop-wick RDTA tank with dual or single airflow adjustability - Also allows for Turboline top-cap fitting. Now, as for the U-Tech Coil that was previously mentioned, this is added to improve flavor production and airflow. While you want a compact and stealthy portable vape, these dimensions are small enough to fit your particular needs. Therefore, this system is not an awkward and heavy one. The Quad-Flex Power Pack uses 1.5-ohm coils suited for 20 watts to 22 watts for ideal and maximum vaping to make it discrete and short. For this tool, there’s an adjustable airflow at the top. This is a perfect mode for influencing how hot or cool the vapor will be when you inhale it. It’s also very simple to turn the dial. And because the Quad-Flex Power Pack has a transparent clean look, you have the capability to monitor the level of your e-juice at all times. For this reason, you will know the time to refill it and avoid dry hits. As you can see, the Quad-Flex Power Pack can be vaped as a low-profile RDA tank or a Squonker-style RDA.